This Fall colored chevron piece hanging on my little design wall since the fall, and it fell off yesterday. Like it’s begging me to finish it. 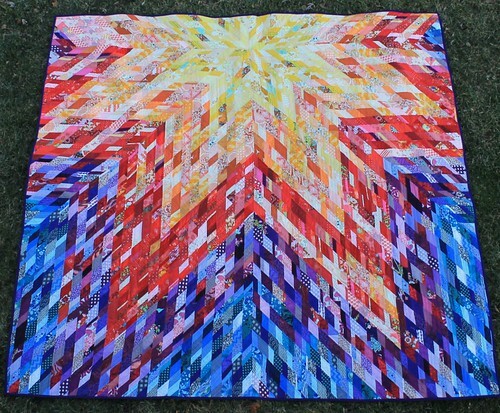 I’ve been thinking about either just finishing it off as a baby quilt OR totally different – putting a lot of white fabric around it and making it a twin size with lots of negative space. 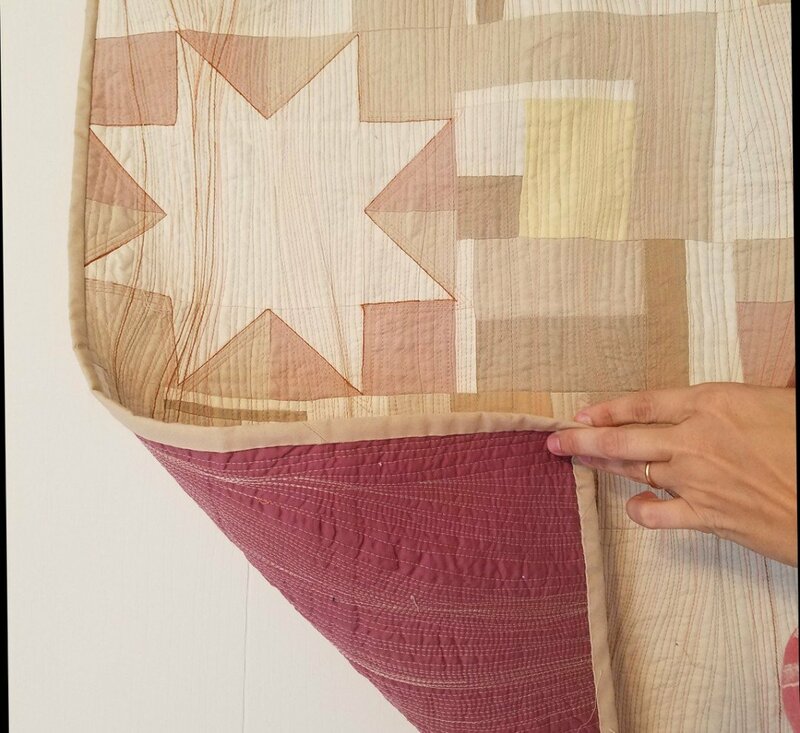 It’s just the scraps corners off of this quilt, so I didn’t have a lot of purpose when I started sewing it. I like to take my extra corner triangle when sewing and make little things with them. 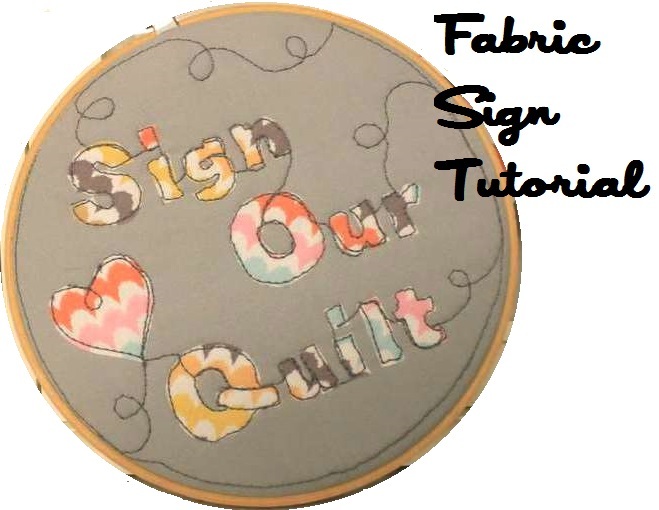 It takes an extra minute while sewing, but hey, free quilt! 1. 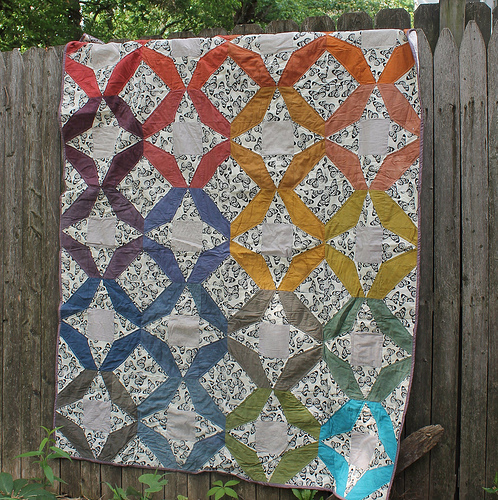 It’s queen sized and I wanted to do some pretty quilting with it, but blah, that’s a lot of wrestling around on my machine. 2. 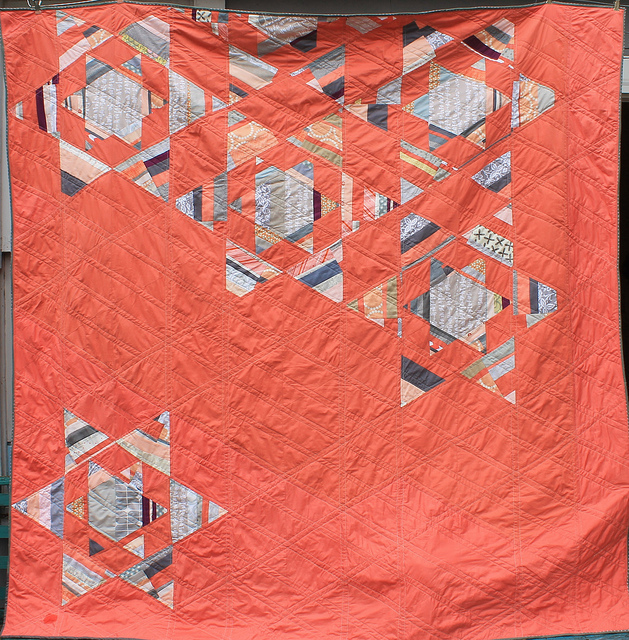 I messed up the paper pieced block (hey it was my first time) and I can’t decide if I care enough to fix it. 3. I don’t really know what I’m going to do with it when it’s done. At the time pink, teal and navy seemed great but that’s a lot of pink teal and navy for our bedroom. Those rich browns just jumped right out of the thumbnail at me. How lovely! 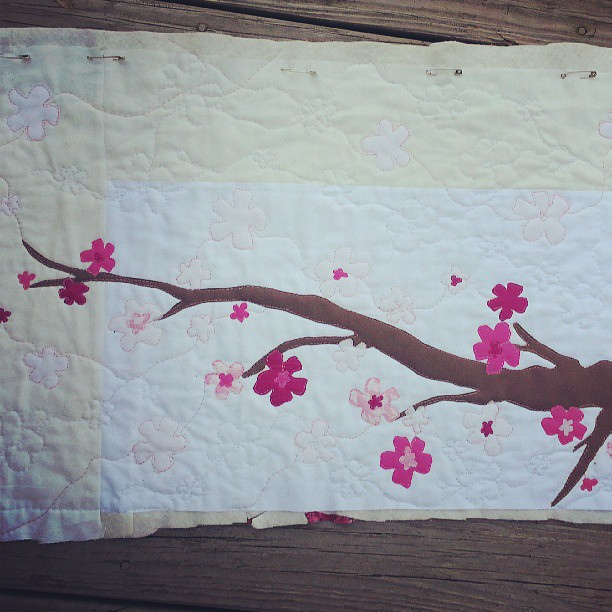 I like your idea of adding a bunch of white to make a twin quilt with lots of negative space. It’ll be beautiful whatever you decide! 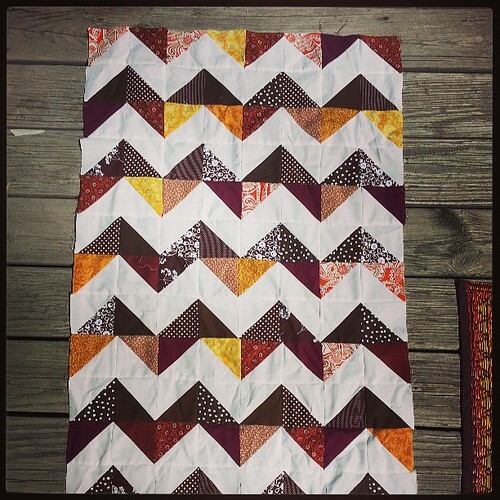 That fall coloured quilt is so lovely. What perfect colours. Also, I am a huge fan of how you did the sampler. 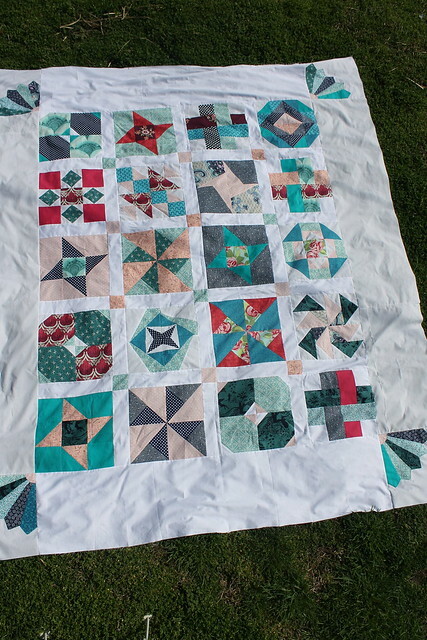 I still haven’t finished mine either, but the funny thing is that all I have to do is sew on the binding. Not sure why I’m being to silly about it.